Coach Norman Black and his Meralco Bolts will represent Philippines for the upcoming 2018 FIBA Asia Champions Cup which is set to kick of on September 27 in Bangkok, Thailand. The Bolts will compete against other champion ball-clubs in Asia and their participation to the tournament is one of those topics which were discussed and approved during the PBA board annual meeting in Las Vegas, Nevada. Alvark Tokyo of Japan, the Liaoning Leopards of China, SK Knights of Korea, Al Riyadi team of Lebanon, Petrochimi of iran, Pauian of Chinese Taipei, and Thailand’s Mono Vampire are teams that Meralco will go through in order to bring home the championship trophy. Originally, it was the San Miguel Beermen squad which got listed in the said tourney but Alfrancis Chua who is the SMC sports director said that none from FIBA approached his office about its team’s participation. Instead of SMB the choice has now gone to the Meralco Bolts as requested by FIBA Secretary General Patrick Baumann. “All of these won’t be possible without the gracious support and cooperation of the PBA,” said league chairman Ricky Vargas. Samahang Basketbol ng Pilipinas (SBP) president and the Bolts board of governor Al Panlilio is thanful for the extended arms of the PBA and its trust for assisting the country’s basketball federation. Meralco Bolts is currently having a 1-2 slate in the ongoing 2018 PBA Governors’ Cup where they dropped their previous two outings. Their next scheduled game is on September 19 or after the league break to give way to Team Pilipinas for the 2019 FIBA World Cup Asian Qualifiers. 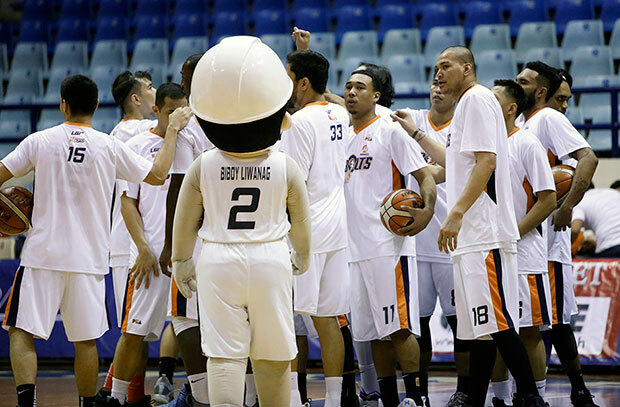 After that, the Bolts will battle the Rain or Shine Elasto Painters in September 28 but PBA will adjust it becuase of Meralco’s new assignment. “Yes, it will (be adjusted) but for the Sept. 28 game only,” Panlilio said during his interview with Spin.ph. Back-to-back Governors’ Cup Best Import Awardee, Allen Durham will continue to boost Meralco in the international stage along with another import who is still in the process of hiring. “We are getting one more (import). Paolo (Trillo, Meralco team manager) is currently burning the lines,” said the SBP president. Last year, it was the Chooks-to-Go squad which was sent by the country. That team were led by Jeron Teng and Kiefer Ravena along with their import Isaiah Austin. Chooks-to-Go Pilipinas able to proceed in the quarterfinals round but got defeated by China’s Xinjiang Flying Tigers which was led by Philippines’ naturalized player Andray Blatche. However, Blatche opted not to play against his fellow Filipino camarades. The national team finished fifth in 2017 FIBA Asia Champions Cup after beating the Thailand’s Mono Vampire.